Brad Walker. 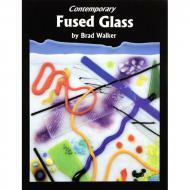 An updated, expanded edition of the author's Contemporary Warm Glass. Information on dozens of fusing and slumping techniques, including sections on inclusions, surface techniques, pattern bars, high temperature firing and more. Numerous photos of contemporary work. 2010, soft cover. 208 pages.